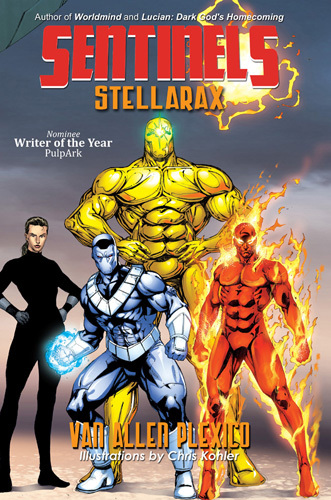 This week’s RevCast (RevolutionSF Podcast) features a discussion about small press & indy publishing, with host Deanna Toxopeus and co-hosts/guests Van Allen Plexico (White Rocket Books) and James Palmer (Giant Robot Books). Enjoy! LUCIAN: DARK GOD’S HOMECOMING by Van Allen Plexico–now on Kindle! 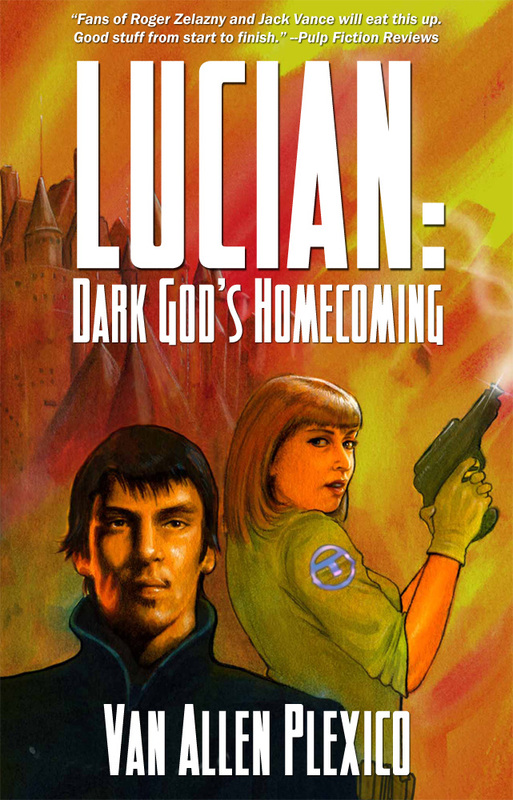 The critically-acclaimed LUCIAN: DARK GOD’S HOMECOMING by Van Allen Plexico is now available on Kindle for only $2.99! The Power has returned. And now I, the exiled dark lord Lucian, race across the infinite planes of creation, a charge of mass murder upon my head, vicious foes dogging my every step. But events are conspiring to bring me together with some very unexpected allies, and to thrust me into the most unlikely role of all… Hero?! LUCIAN: DARK GOD’S HOMECOMING combines exciting SF/Fantasy adventure with a puzzling murder mystery whodunit in the grand tradition of Roger Zelazny’s AMBER series and Jack Vance’s DYING EARTH. Seven 5-star ratings ***** on Amazon.com–and growing!